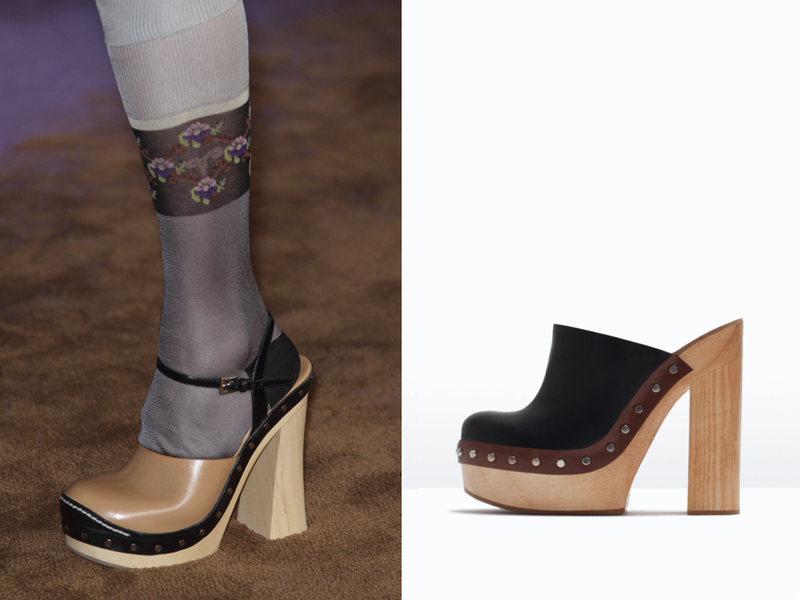 Miuccia Prada’s 70ties inspired collection included of course some typical and characteristic footwear of that decade: the clog [left], available in Prada stores right now for 850 Euro. If you want to get the look for only 79,95 Euro [right] click here and order them from the fast fashion chain Zara. Thank you Zara!